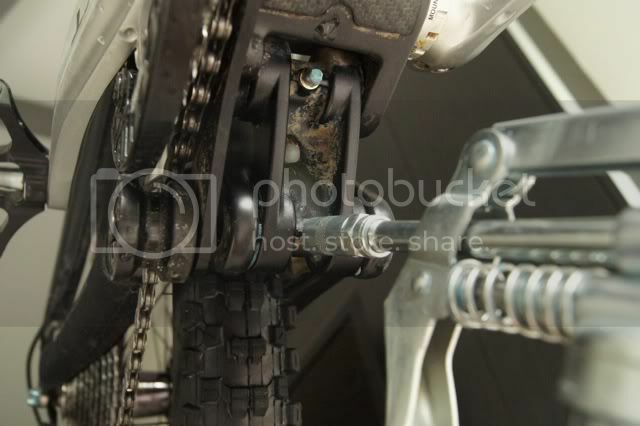 All purchase of Santa Cruz Nomad Carbon comes with grease gun as shown above. 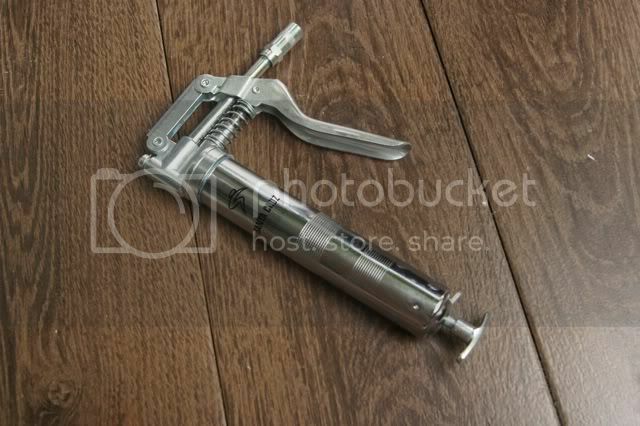 Load grease into the gun and squeeze the trigger until the grease flow out in a consistent manner without air pockets. There are two grease fittings at the lower link. Insert the grease gun nozzle onto the grease fittings. Tighten the nozzle cap if the fitting is too loose or losen it if the nozzle unable to insert onto the grease fitting. Squeeze grease into the lower link until the grease flow out of the bearing seals is clean. Wipe off the excess grease.